State Bank of India (SBI) had to compensate damages for deficiency in service in the payment of insurance premium of a vehicle. 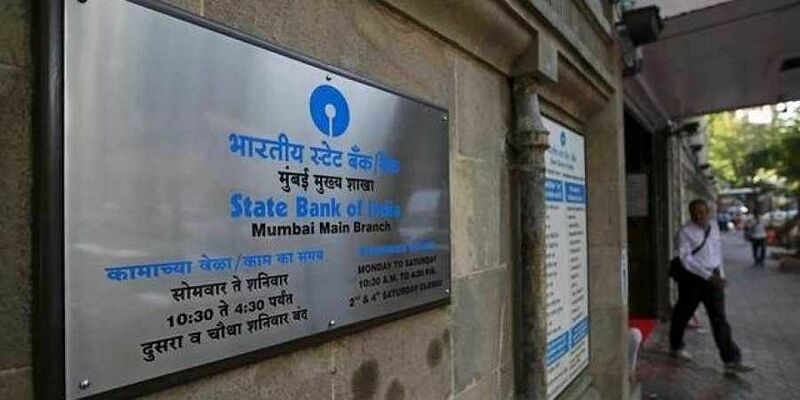 BENGALURU: State Bank of India (SBI) had to compensate damages for deficiency in service in the payment of insurance premium of a vehicle. Karnataka State Consumer Disputes Redressal Commission president Justice B S Indrakala ordered the manager, State Bank of India, Kumta branch in Uttara Kannada district, to pay RS 3.71 lakh in compensation, along with interest at the rate of 6 per cent per annum from 2009, plus Rs 5,000 litigation cost, to Mahesh Pursu Harikantra, a resident of Kimani in Kumta. Allowing the appeal filed by Harikantra, in part, the Commission set aside the order dated February 7, 2012, passed by the District Consumer Disputes Redressal Forum, Uttara Kannada, which rejected the complaint. Against this order, Harikantra approached KSCDRC. “...prima facie, it is seen that the Bank which has taken the responsibility of collecting premium from the complainant (Harikantra) and crediting the same to the insurance company, has failed to discharge its duties properly. Though it collected the amount from the loan account of one vehicle, remitted the same towards another vehicle,” the Commission said in the order. The Commission also said the bank cannot be exonerated from its liabilities by saying that such a mistake was due to oversight. In such circumstances, the Bank is liable to compensate the complainant, the commission said. Advocate Prashanth T Pandit argued that Harikantra purchased two Maruti Omnis with financial assistance from SBI, and insured both the vehicles while getting the loan. Accordingly, the bank also collected a renewal premium of Rs 8,138, but instead of remitting the amount towards vehicle bearing registration KA-47-1885, the bank remitted the amount towards another vehicle, KA-47-1230, and failed to collect premium towards the second vehicle. On October 29, 2008, vehicle KA-47-1885 met with an accident near Kumta, and a woman, Leelavati Murari Harikantra, died. It was only then that Harikantra came to know that the vehicle’s insurance policy was not renewed. He was forced to pay up a huge amount in motor vehicle accident claims. The district consumer disputes redressal forum has asked a private bank to pay D43,879 to a senior citizen from Mysuru for deducting D78.68 from his account without his knowledge. The compensation spiked after the bank, Kotak Mahindra, prolonged the issue for six years. The complainant Raghunathan V R, a lawyer, filled fuel for his new car on July 26, 2013, and paid using his debit card. However, after four days Raghunathan was shocked to find a withdrawal of D78.68 by the fuel station. Raghunathan took the issue to Mysuru District Consumer Redressal Forum in 2013. The forum ordered the bank to pay the amount as well as D1,500 penalty towards the mental agony caused. The bank was told to pay D50 per day if they fail to pay within 30 days. However, the bank appealed to Karnataka State Consumer Disputes Redressal Commission, but their petition was rejected. But the bank did not pay Raghunathan. Irked, Raghunathan went back to the Mysuru consumer forum, which on Friday last asked the bank to pay D43,879.